The Magnum Heavy Duty Series of Processing Buckets are specifically designed for medium and heavy duty applications. The four Magnum models are ideally suited for 10-50 tonne excavators and 6-19 tonne wheel loaders. Flat top frame allows for installation on any carrier using quick couplers and an adapter standardized bolt pattern with Magnum hydraulic hammers for increased versatility. All models have been carefully designed to maximize bucket capacity while not affecting cycle times resulting in increased productivity. To ensure minimal downtime all hoses are routed within the frame. Magnum's Processing Buckets have been designed and constructed to meet the needs of the demolition, road building, landscaping, sewer and watermain industries. 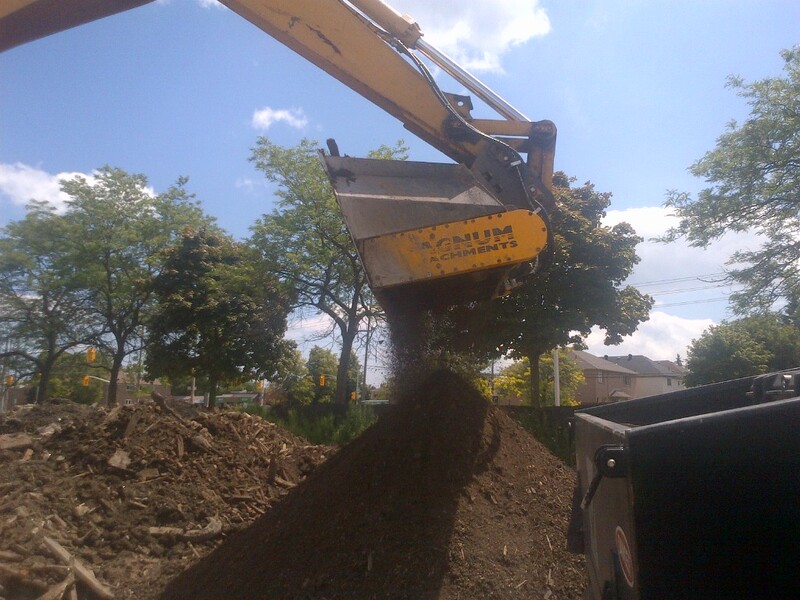 Our four different axle types are designed for a variety of applications including top soil, composting, backfilling of trenches, demolition and recycling. Increased durability has been achieved with the use of an oil filled gear box as opposed to chains.